Buildingtalk is delighted to announce it has become a media partner with product news podcast platform BusinessNet Explorer. Initially created for the Construction & Building Services industry, but with the potential to work in any sector, BusinessNet Explorer have now created podcasts for over 50 brands. BusinessNet Explorer have some great Construction & Building Services content lined up for podcast production and expressed their gratitude for Buildingtalk’s support, adding they look forward to working with us. In this BNE Product News ‘Project Viewpoint’ interview podcast, Alvaro Enguita-Gonzalez, Head of Test at the BBA, discusses the BBA Product Excellence Programme (PEP) with Mick de Leiburne from BusinessNet Explorer. 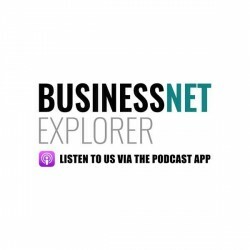 BusinessNet Explorder’s audio podcasts are available via the Apple podcast app, as well as on SoundCloud.